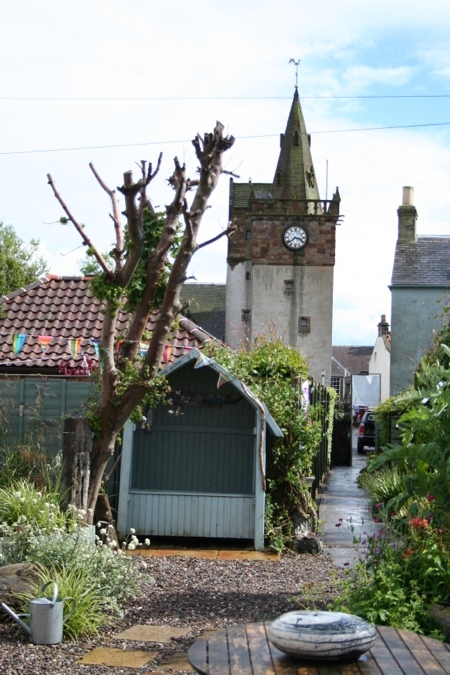 Visiting Crail in the height of summer means that you may be fortunate enough to be in the East Neuk of Fife for the annual Pittenweem Arts Festival. The event takes place this year from the 3 – 11 August and celebrates its 36th year.If you have not been before it really is worth a visit. You can spend a whole day browsing. These are lots of food outlets providing a range of food and ample car parking. 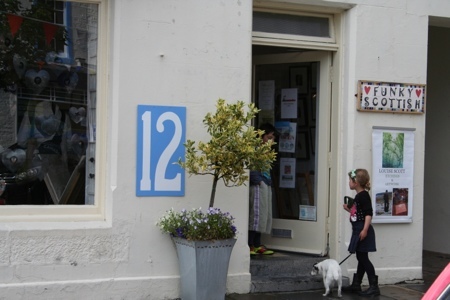 Every possible exhibition space in the village turns into a mini art gallery for the duration of the Festival, which provides an excellent opportunity to see Pittenweem from all sorts of angles. It usually gives me a severe case of garden envy too as I catch glimpses of the beautifully tended cottage garden plots. 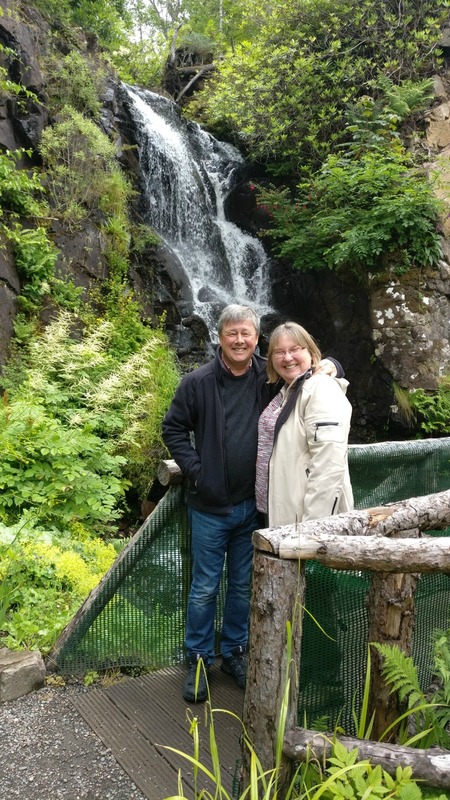 Our last visit was punctuated by a series of heavy rain showers, but this just meant we had a good excuse to visit the Cocoa Tree for a reviving caliente chocolate! We met Philip Raskin, whose work we’ve admired and been following for several years. We paid a visit to see Karen at Funky Scottish – you’ll know her work as soon as you see it, as she designed our Sandcastle Cottage plate . 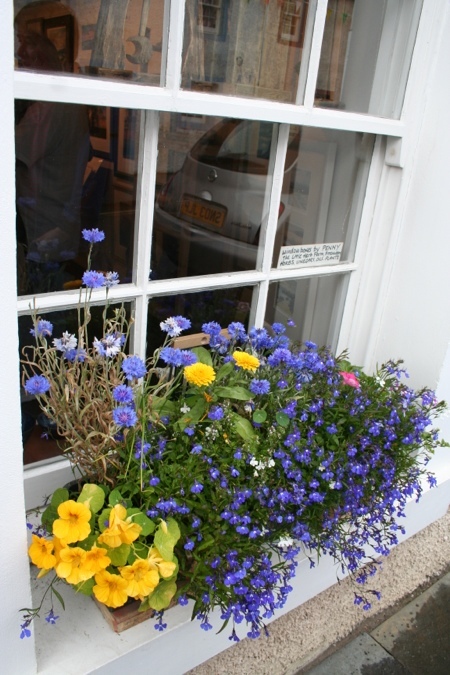 Also Keny Drew of East Neuk Glass who runs courses from his studio throughout the year. Oh, and so many others – 90 different venues , as well as Fringe Venues which feature local artists too. Below Funky Scottish Gallery owned by Karen Edward who designed our Sandcastle Cottage plate which has pride of place in the lounge. 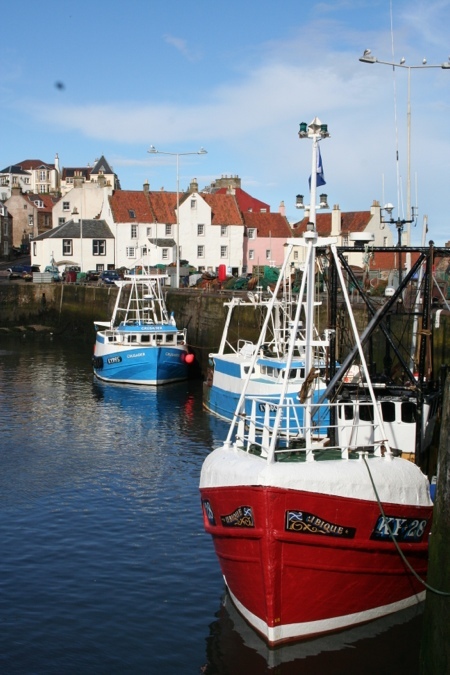 Pittenweem is still a working fishing port and still has a number of fishing boats based at the harbour. There is also a fish market and local fish merchants where you can buy fresh fish daily. Stop for Coffee and Cake! 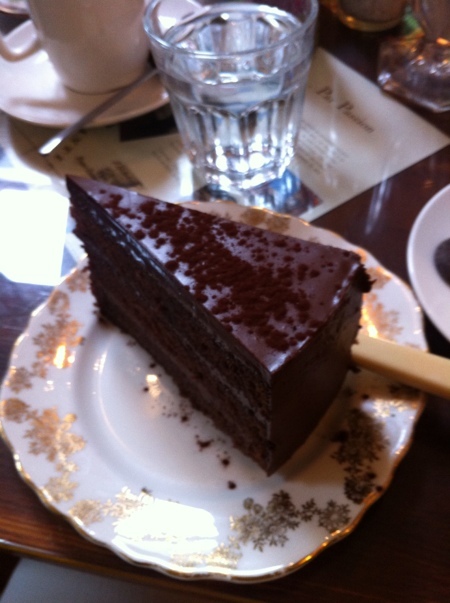 A visit to Pittenweem Arts Festival would not be complete without chocolate cake from the Cocoa Tree based in the town’s High Street.